To put it simply, we do steel. We offer complete estimating, detailing, project management, shop fabrication and erection for large commercial structural steel projects. We focus on up front planning and management of projects to ensure every detail is addressed. Our investments in people and automation set us apart from the competition in all areas. 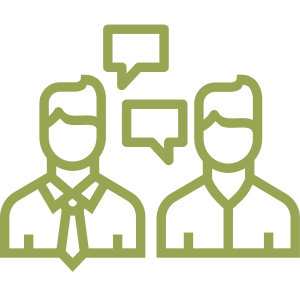 Our sales and estimating team works hard to be responsive with customers throughout the bid process. Utilizing custom designed estimating software ensures that every aspect of the project is considered, leaving nothing out. This avoids incomplete bids and scope conflicts. It also allows us to estimate quickly and accurately while meeting tight timelines. We manage every dollar with care. 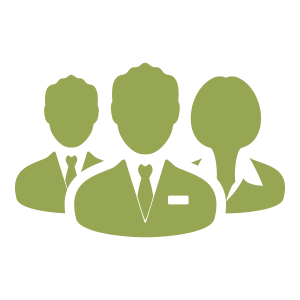 Builder’s Iron takes tremendous pride in our Project Management team. We strive to go above and beyond our customers’ expectations by being team players, trustworthy, proactive and purpose driven. We use these standards to create success for our clients and ourselves. 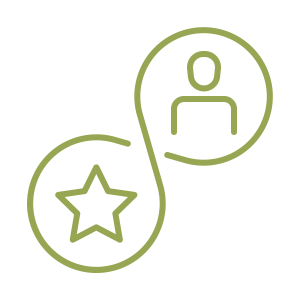 We are committed to continually improving procedures, practices, and the value of our service to our customers. Customers can be confident that we will not jeopardize quality or safety in order to meet schedule or budget. We have worked even harder to be proactive and to use our experience to prevent issues that may impact overall project schedules as well as cost money. From beginning to end, Builder’s Iron provides the project management support to make any project a success. Builder’s Iron maintains and supports an in-house detailing department. Our commitment to the newest and best use of technology, Builder’s Iron utilizes SDS/2 modeling on all projects. This has minimized errors throughout our production process and allowed better control over project budgets. Having on staff detailers provides a superior sense of urgency, commitment to schedules, and accessibility that helps insure on-time delivery. Having a long term commitment to a detailing department has allowed us to grow and control every detail of our projects. The most important components of our fabrication facility are the highly skilled employees working on the steel. Our employees are craftsmen whose knowledge, skills and passion are forged into each piece of steel we deliver. Our 50,000 square foot plant uses direct CNC downloads for equipment processes to ensure a high level of quality and accuracy. 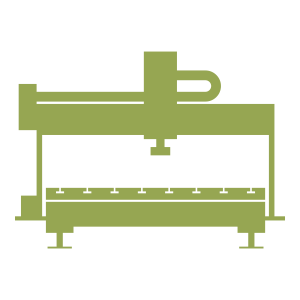 Our main fabrication equipment consists of a Controlled Automation Plasma Coper, CNC drill line, and CNC angle line. Our experienced fabricators and AWS certifified welders ensure quality workmanship for each project. Finished material is safely loaded onto trucks to be sent to the jobsite. 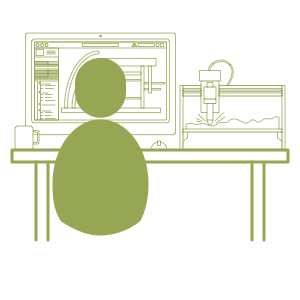 We use FabTrol software to control production and ensure shipping accuracy to the field. 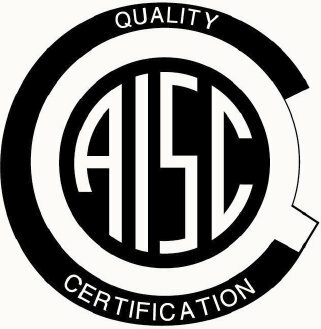 We are an AISC Certified Plant and inspection is the final important step in our fabrication process. 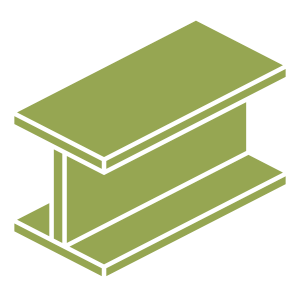 This covers welds, material specifications and other aspects as required by the AISC standard. 100% of welds are visually inspected. Ultrasonic Inspection and Magnetic Particle Inspection are performed when required by Project Specifications. Executive management plans and monitors the quality management system to ensure proper procedures are created and followed. 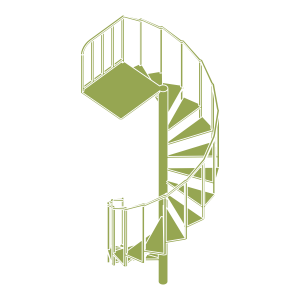 We produce a wide range of stairs, railings, glass railings and custom fabrications, as well as architectural and ornamental metal work. Builder’s Iron self performs erection on select projects, as well as utilizing subcontract erection services. Our management team works closely with its erectors to sequence projects and develop a project plan. Our PM will make multiple visits to the site with the erector to help the customer identify on-site issues that may impact scheduling. Site specific erection plans are created for all projects. 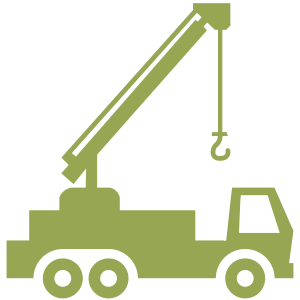 This identifies crane locations, critical lifts, erection activities and fall protection hazards. 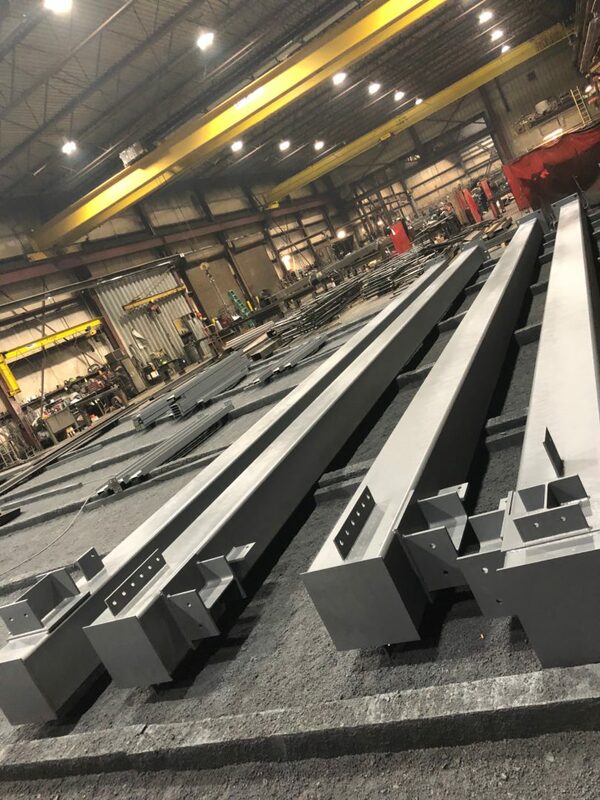 At the start of steel erection, our erectors are in constant communication with our shipping department coordinating deliveries in order to avoid costly traffic jams on job sites. The erector closely monitors the daily activities of the site to ensure the material required for erection can be installed with the most efficient means. Our erectors are equipped with the latest safety equipment and training to maintain the highest level of safety standards. We are an AISC Certificated company, which ensures our quality management system is reviewed continuously for improvements to all of the areas highlighted above.